I haven't had a pair of converse since middle school - that being said Converse always bring me back to my child hood. I got my first pair of converse when I was 6 years of old- the classic black high top ones- I felt like the coolest kid in school. For this look I wanted to pair some classics together with feminine twists. Shorts - with mint lace ; A Chambray top - with small polka dots ; and Chucks- classic white. I will probably be living in my chucks from now on- fair warning given. Cute outfit! I LOVE my chucks. You did a great job styling them. 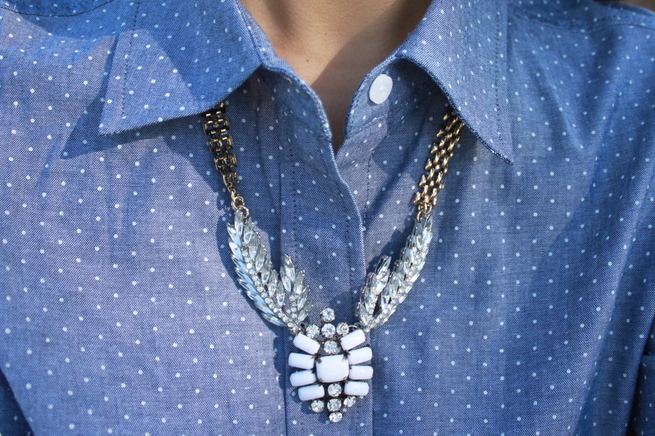 Giveaway in the blog, stop by. Super cute! Love the lace shorts with the converse! You look great! Loving how you paired up the chucks with the outfit!! white Chucks are next on my list. i have red, brown, yellow, black, and Wonder Woman already! lol but white is perfect for spring/summer. Love this look on you. You look amazing in it. I love your lace shorts and the color. If you get a sec, please check out my latest post 'Parisian Melody'. Thanks in advance. If you have a moment, hope you can check out my site and leave your thoughts. Thank you! Your mint lace shorts are so pretty and perfectly on-trend! 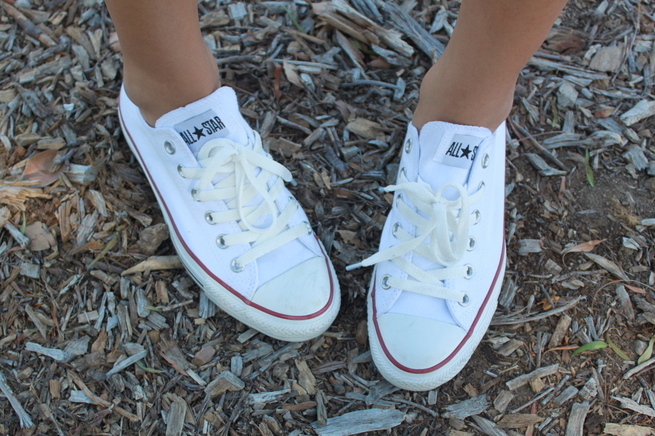 And your Converse add the perfect touch of cool :) I love my white converse and they really are super versatile! love the converse and the top! xO! Amy you look soooo cute!!! Love the sneaks! Love the playful dots with the lace and Converse. So cute!